My Wishlist lets you bookmark products that you'd like to review or enquire about at a later date, print a summarised version of your list or even share your wishlist via email. 1. Search for a product or browse our product range via our 'PRODUCTS' page. 2. 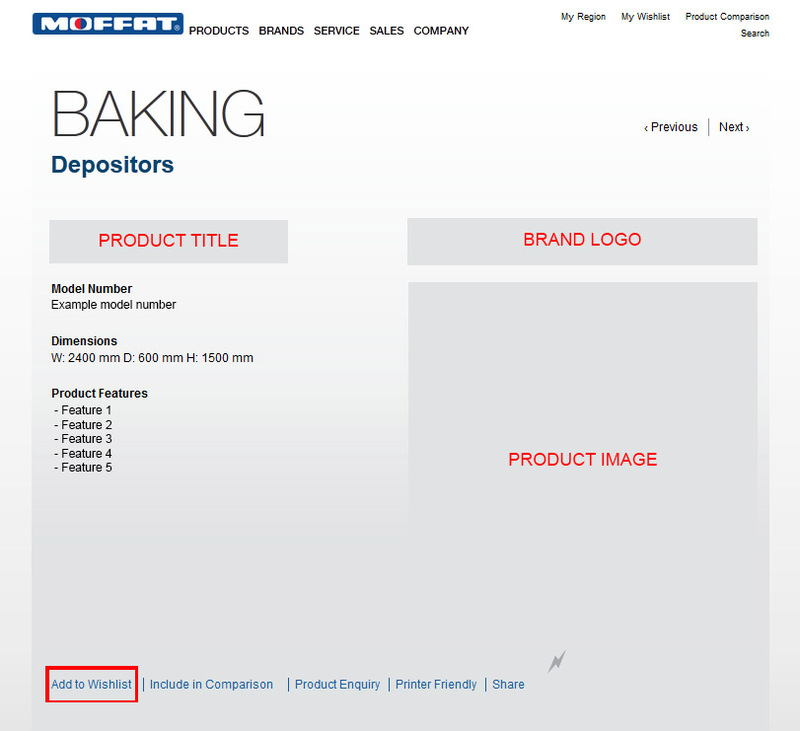 Once you find the product you are after, click on the product to see the full details (see screenshot). 3. Click the 'Add to Wishlist' text below the product. 4. Now that the products have been added you can click on 'My Wishlist' in the top right hand corner of our website and view your Wishlist. 5. To add more products simply repeat the process.